It’s May, and that means it’s also National Motorcycle Safety Month. For the Texas Department of Transportation (TxDOT), that means rolling out a giant inflatable motorcycle and kicking off its annual “Share the Road: Look Twice for Motorcycles” campaign. Lupita Velasquez, who rode in from Corpus Christi, remembered her son Fernando, and spoke out in his honor. “Look twice, then look again!” said Lupita Velasquez, who rode in from Corpus Christi to help TxDOT kick off its program at an event held at the lawn of the Long Center in Austin. 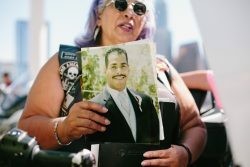 Velasquez, who has been riding for 32 years and is the founder of the Latin Ladies Motorcycle Club, spoke, telling the crowd about her son, Fernando, who had been killed on his motorcycle riding in California “some 851 days ago,” she said. 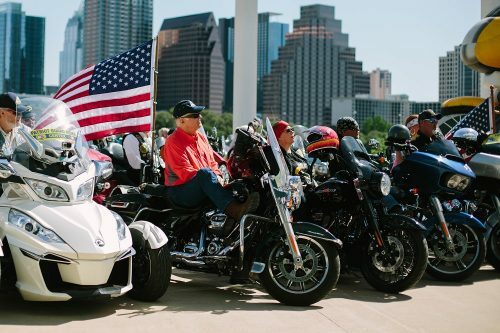 Motorcyclists across the state came together in Austin to represent the 493 riders who were killed last year on Texas roads. Kenneth Copeland of the National Highway Traffic Safety Administration opened the event by speaking about the continuing need to educate both drivers of vehicles and motorcyclists about ways to share the road safely. 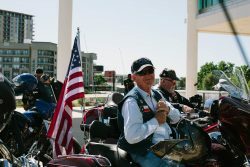 He cited that there were 493 riders killed in Texas in 2016. 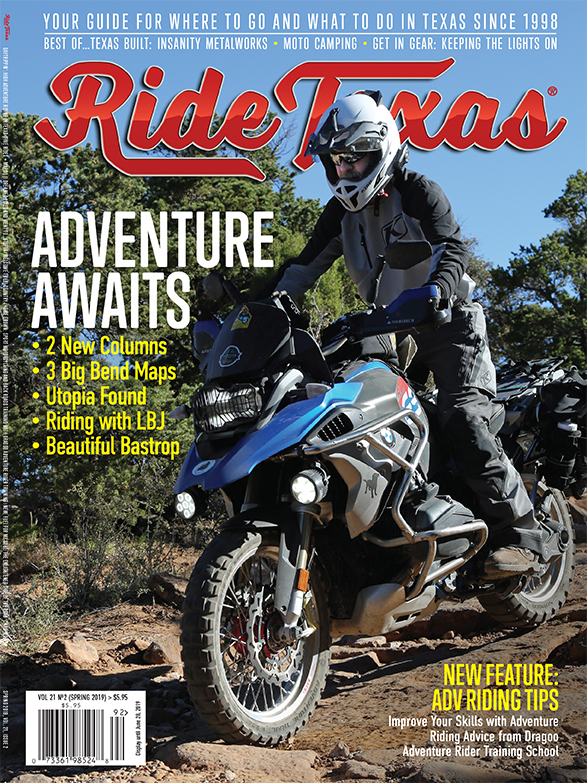 “Texas is one of the top three states as far as motorcycle fatalities,” he said. 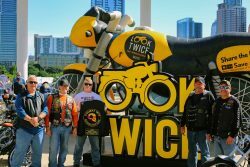 (Left to right) Randy Mount, Bill “Chief” Langford, Shane “Crabby” Paasch, John “Shoot-e” Schuette, and Randy “Yogi” Hatmaker, members of the Combat Veterans Motorcycle Association rode in from Cedar Park to show their support. Other speakers included Austin Mayor Pro Tem Kathy Tovo, who read an official city proclamation, and Capt. Rick Rutledge, Austin/Travis County EMS, who spoke about his experiences being a first responder on the scene after accidents involving motorcycles and cars. “The driver always says, ‘I never saw him,’” said Rutledge. Weyman Cooper of the Calaveras Motorcycle Club was also on hand, and he discussed dangers faced by motorcyclists in sharing the road with vehicles. To learn more about the campaign, visit LookTwiceTexas.com or visit TxDOT’s website at txdot.gov.